Add your initials to this cobalt blue growler and then add your hand crafted brew that you are so proud to share with others. Is your hobby one of beer and wine making? Do you need a vessel to store that yummy concoction? 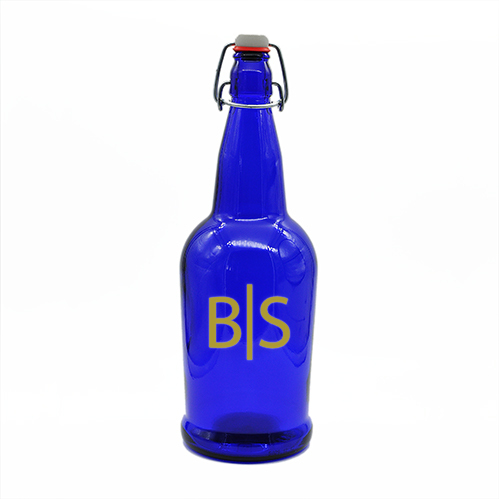 Our 1 liter cobalt blue growler with your customized initials is the answer to your situation. This growler comes with a swing top lid to keep your brew fresh. Serve up your favorite hops in this beautiful growler today!